At Lifebridge North Shore, we have a mission to end homelessness. We believe this starts with our regional approach, as we’ve expanded our services to reach more people in the North Shore region. Lifebridge helps by offering community meal programs. 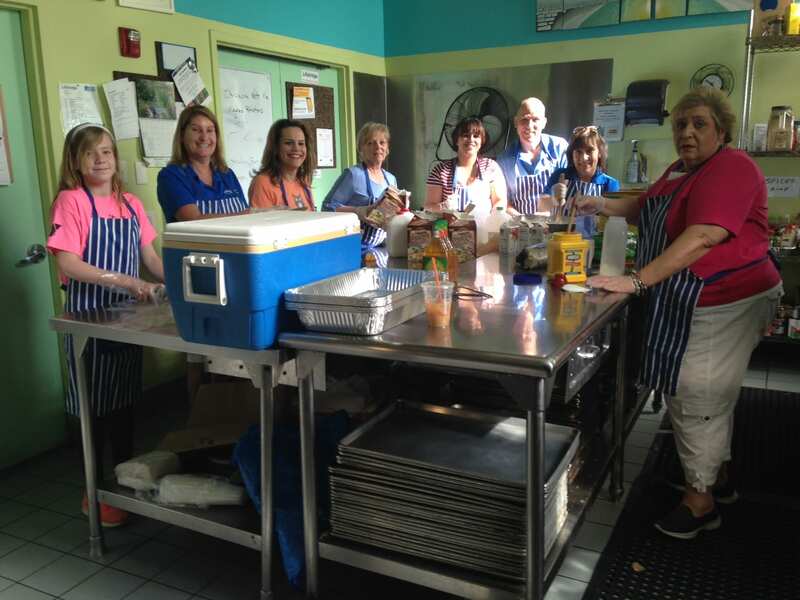 What Are Community Meal Programs at Lifebridge? We offer meals to all who are hungry, as we don’t want anyone experiencing homelessness in our region to feel like there is nowhere to get a meal. Our community meal programs offer breakfast, lunch, and dinner, served on site every day. 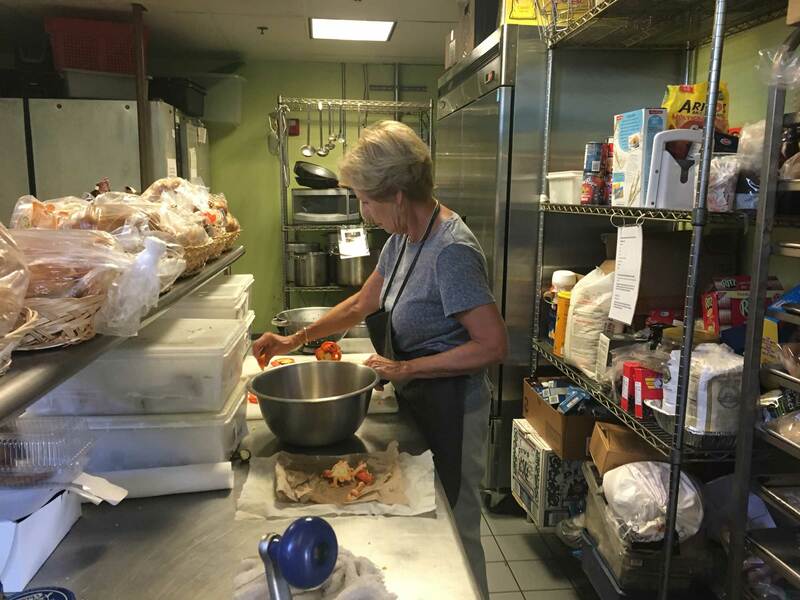 Volunteers help us in the kitchen and make our work possible. We rely on our volunteers to serve dinner and weekend meals. Learn how to become a kitchen volunteer on our website. How Do These Programs Help Clients? Our community meal programs allow us to help our clients transition their diets and their lifestyles. Instead of being forced to eat unhealthy foods, these programs give people an option to get on track and regain control of their self-sufficiency. Many of our clients and residents struggle with health issues. These include diabetes, high cholesterol, and high blood pressure. As someone experiencing homelessness, a person may not have the funds or knowledge needed for nutritional care and body care. Out community meal programs help these clients with specific dietary needs. Relying on programs like ours allows clients the opportunity to be active participants in their journey to independence. Our clients can find our community meal program services at two of our Lifebridge locations. Seeds of Hope in Salem and The Grace Center in Gloucester both offer community meal programs and services. With a focus on nutrition, the kitchen staff and volunteers incorporate freshly harvested produce into meals from our Seeds of Hope Garden. This is an awesome way to get our clients inspired, motivated, and incentivized. Residents are more inclined to make healthy eating choices, which improves their nutritional intake because they feel a sense of pride in their harvest. This is a beautiful thing of which Lifebridge North Shore is proud. Our Seeds of Hope Garden lives at our Lifebridge Seeds of Hope Location: 56 Margin St. Salem, MA 01970. Call us at (978) 744-0500 for more information on how you can get involved. There are not many places on the North Shore where people experiencing homelessness or struggling can get a hot meal, 24/7, 365 days a year. Lifebridge North Shore is here to help.